They have come several times now... these 2 college girls who come to pray and staff the Wall of Unreached People. The wall is huge. Long. Several panels. You can learn more about it here. You can arrange to borrow it, and have it shipped to your church for a week. But this week it's in Kansas City, MO for the International Conference On Missions. It opened tonight to a nearly full house - wonderful since it's only Thursday night - and more folks come on Friday and Saturday. It looks to be an exciting weekend conference, and The Wall is my favorite place to camp out, volunteer, and pray! 1. That we would not forget these people. These are UNREACHED and UNENGAGED people groups, and we need to pray on their behalf for for spiritual preparation, and to be freed up from the enemy. 2. That we would support the people God calls to these new fields... whoever He sends. 3. 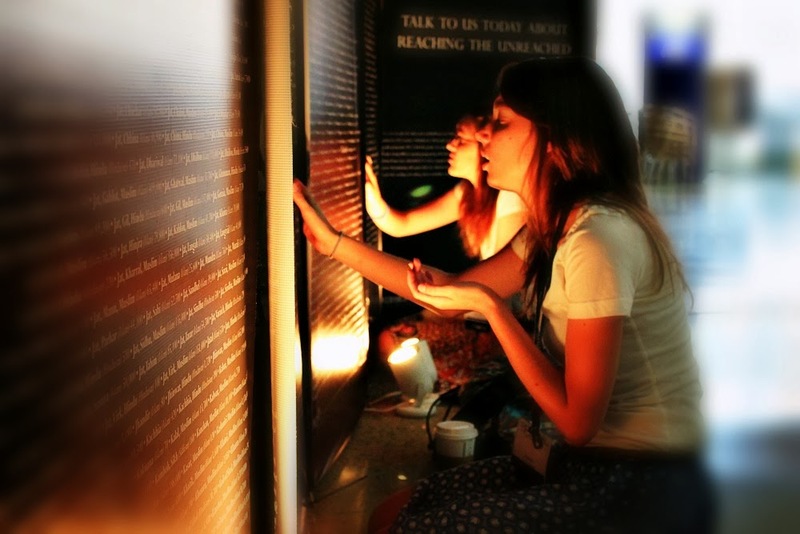 That we would take an interest in the list, adopt a people group, and remember them in prayer. 4. That we would take a personal interest in learning about the people group that we adopt. Be curious. 5. That we would want to go and visit that place where they live. 6. That we would engage with the people group, and support whoever it is that God sends there to live and work with them in the field.